After much teasing, GoPro has finally unveiled its own take on the quadcopter - the Karma drone. 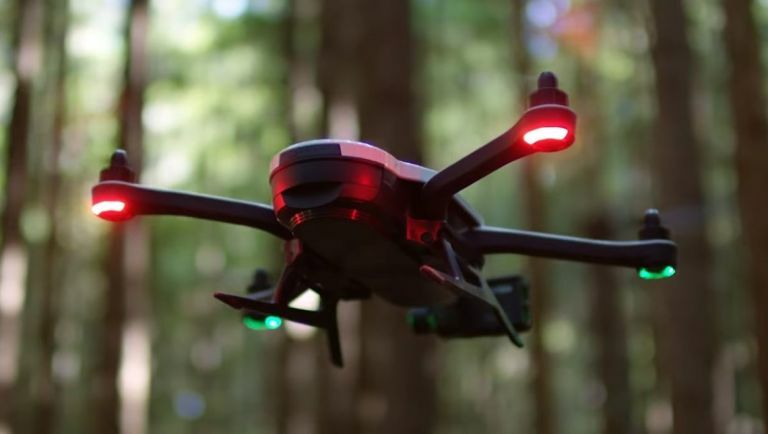 And with a foldable design that fits in your backpack, voice command controls and a bespoke controller (complete with display), GoPro is really aiming for the high-end drone enthusiast and the action camera die hards. Which is no bad thing either - GoPro wants this to be a luxury item, but like most pricier drones these days it's also been designed with pure practicality in mind. The slim, almost flat design makes it incredibly easy to fold up and slip in your backpack for super-simple transport. Rather than relying on a smartphone app to control the Karma, GoPro has also made the odd decision to include a bespoke controller. GoPro says making drone control as simple and rewarding as possible was its aim and you can't argue when you see it. Along with basic voice commands and the ability to set the drone on predetermined flight paths, the Karma controller's in-built screen makes flying one simple and really rewarding. Oh, and since this is a GoPro product, it's really easy to pair it with either a Hero5 Session or a Hero5 Black action camera. The Karma drone will be available from 23 October priced at $799 (£613) for the model on its own, or $999 (£766)/$1,099 (£843) for a Karma bundled with the Hero5 Session or Hero5 Black.